The majority of historical sights to visit in Egypt are located along the Nile because the ancient Egyptians lived along its banks. In these 10 days traveling Egypt, you will be guided down following that river. Please note: We optimized the tour we did so you can possibly do the best itinerary. Our tour with Egypt with Travel Talk Tours made traveling in Egypt so much easier, plus we had a great group of young people. Your journey starts in Egypt’s capital: Cairo. It is the gateway to the Pyramids and Sphinx of Giza. Cairo itself is chaotic but in a fascinating way. 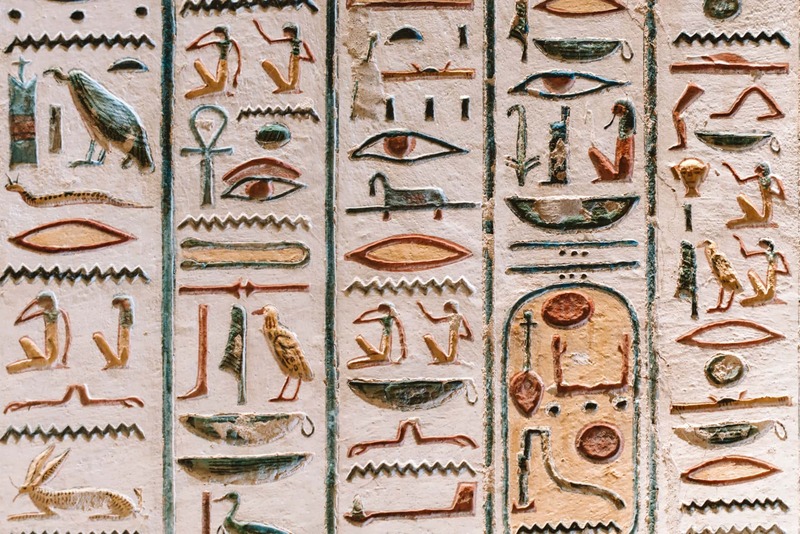 Visit the mummy room in the museum, the mosque and plan to spend two days with the things to do in Cairo. Welcome to the world’s largest open-air museum. 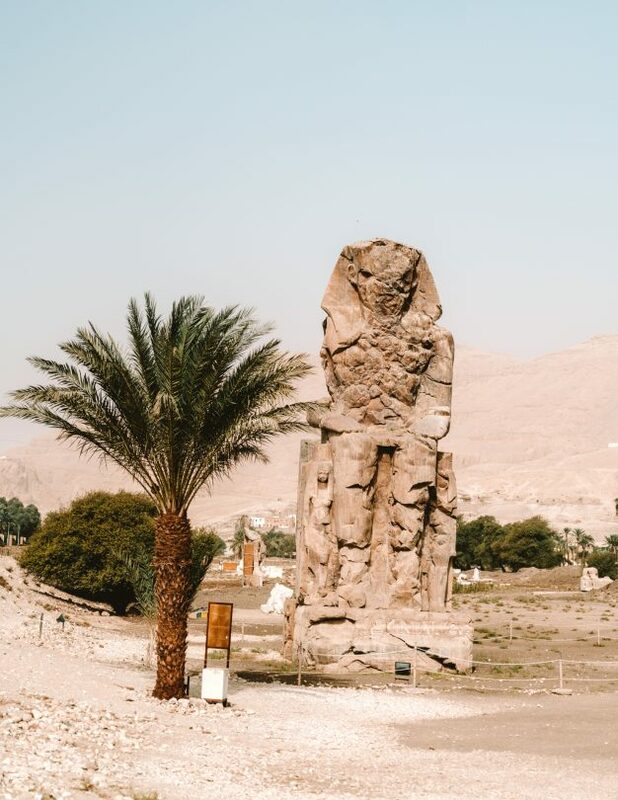 Luxor is the city where would need at least 4 days to visit all the well-preserved temples and tombs. Good to know: If you travel in Egypt is it required to buy a photography pass in order to take photos at most sites. The city has a relaxed vibe, very different from Cairo. 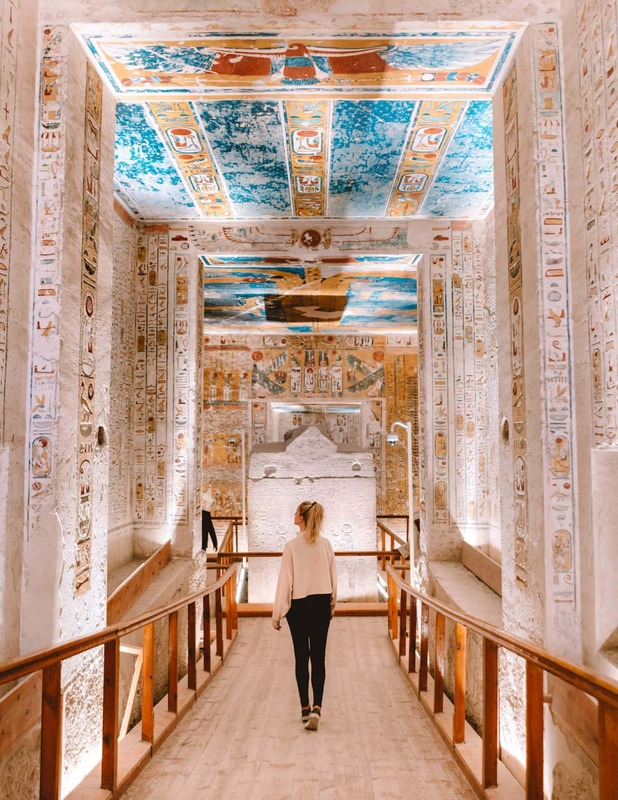 You will find yourself in some ‘jaw-dropping’ moments, for example when wandering around in Valley of the Kings. This is where the tomb of the Tutankhamun is located. 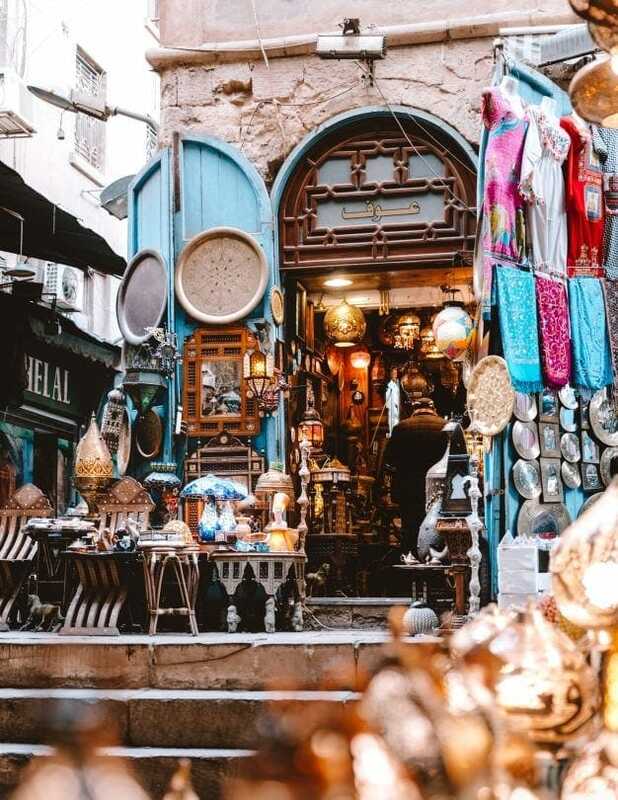 Aswan is another great stop on the Egypt Travel Guide. Like Luxor, Aswan is located on the Nile. 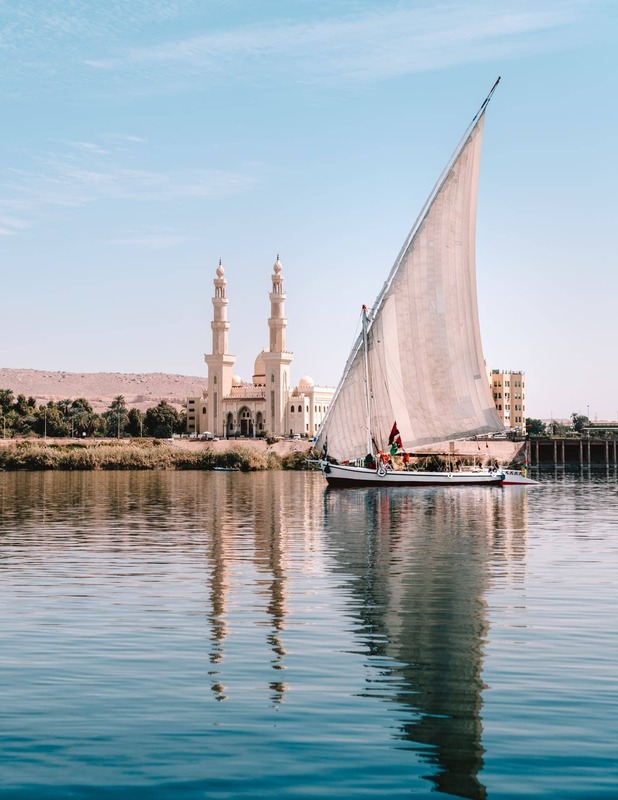 Therefor, sailing the Nile with a felucca from Aswan to Luxor is a popular way to travel Egypt. 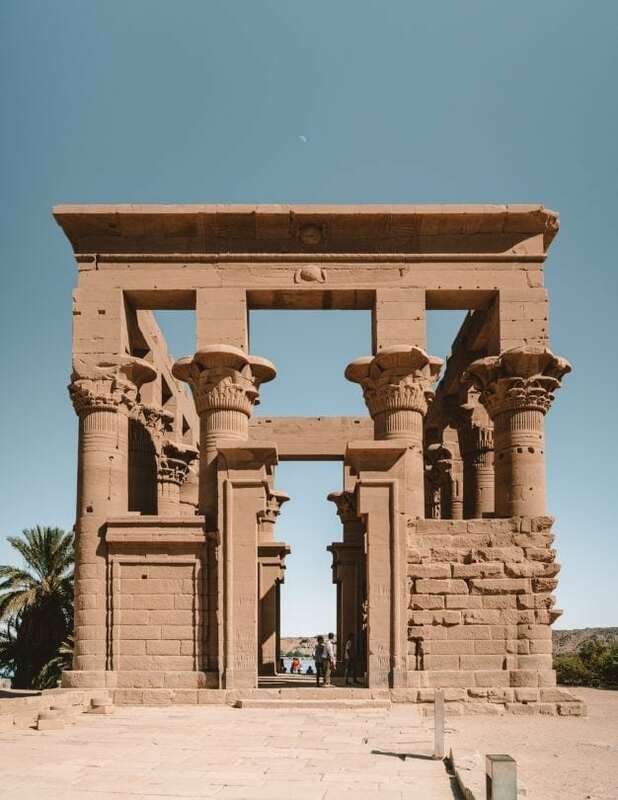 While in Aswan, visit the Kom Ombo and Philae Temple and plan a trip to the temple of Edfu, one of the best-preserved ancient monuments in Egypt. Rise and shine early and prepare for a 3-hour trip down south Egypt to visit Abu Simbel. 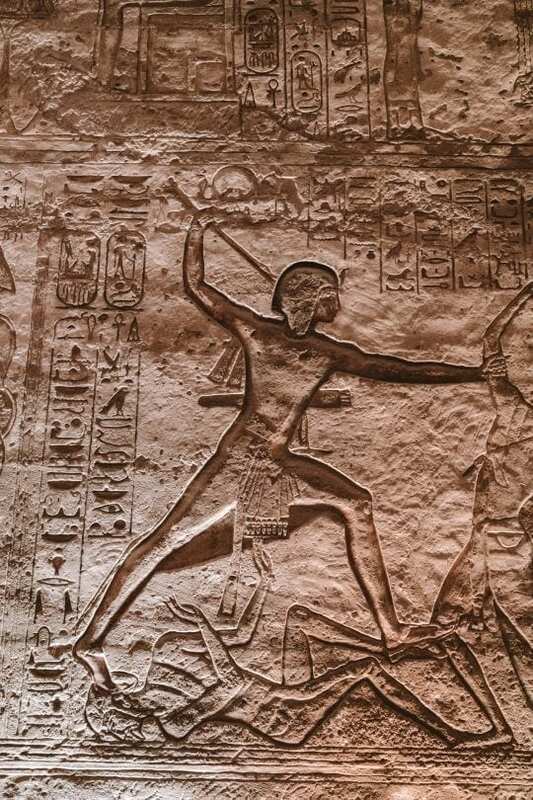 The temple complex near the border with Sudan is completely carved out of the side of a rock. Between 1964 and 1968 the entire temple has been moved to higher ground because it was threatened to be flooded. An unbelievable story when you are standing in front of the massive temple. 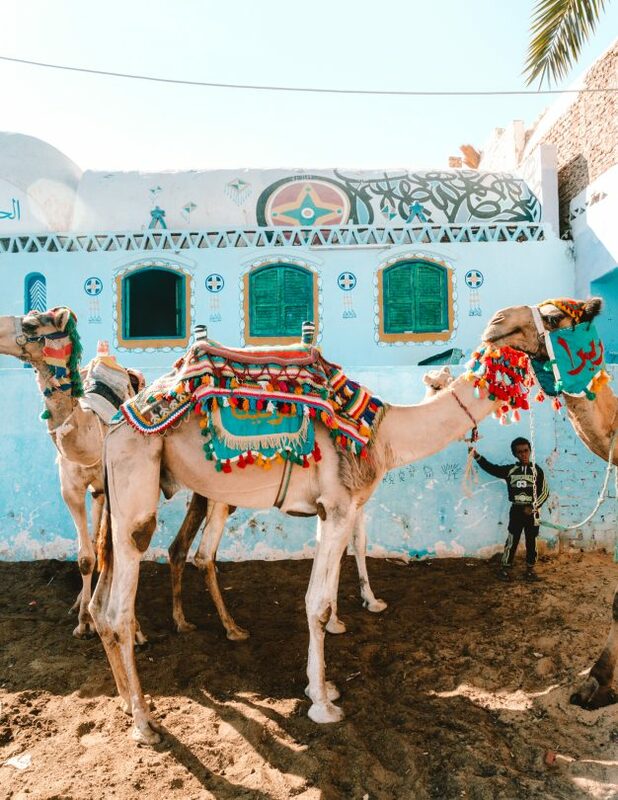 Read more about the colorful Nubian Village in Egypt. 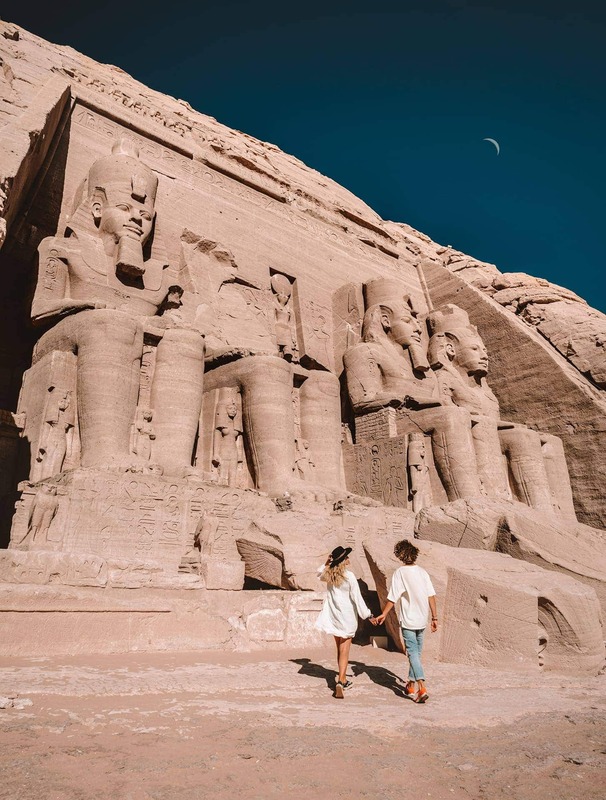 Tip: If time isn’t a problem, visit Abu Simbel in the afternoon. It will be far less crowded. 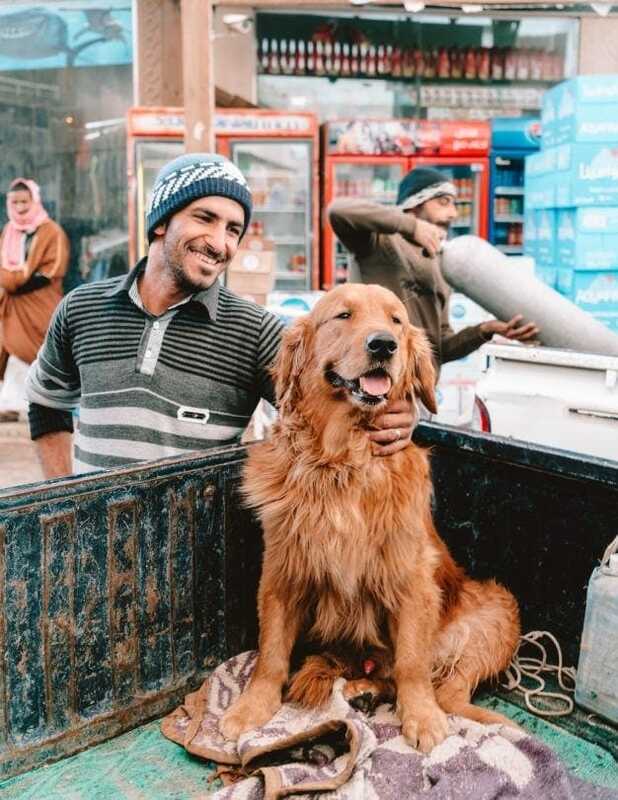 Get back to Aswan, arrange a motorboat and cruise the Nile to the Nubian village. 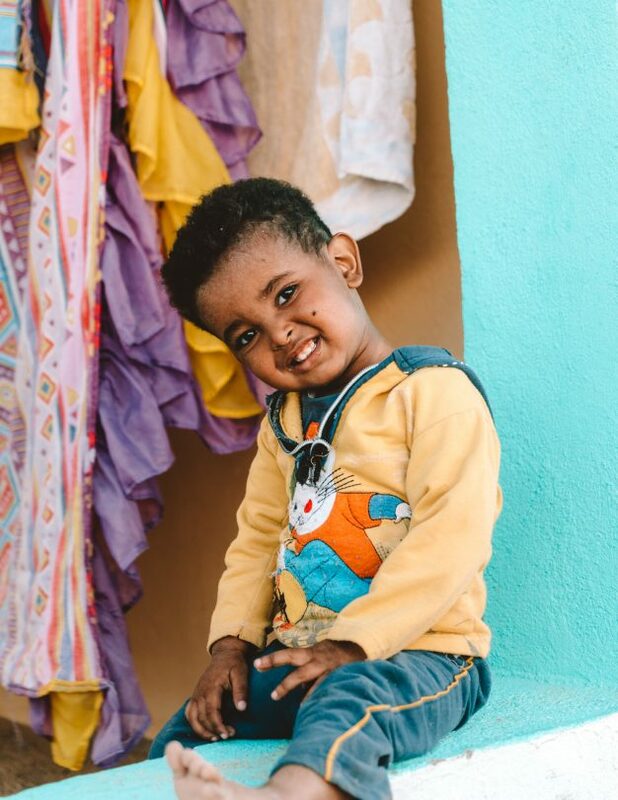 The Nubians are known for their kindness and colorful building. 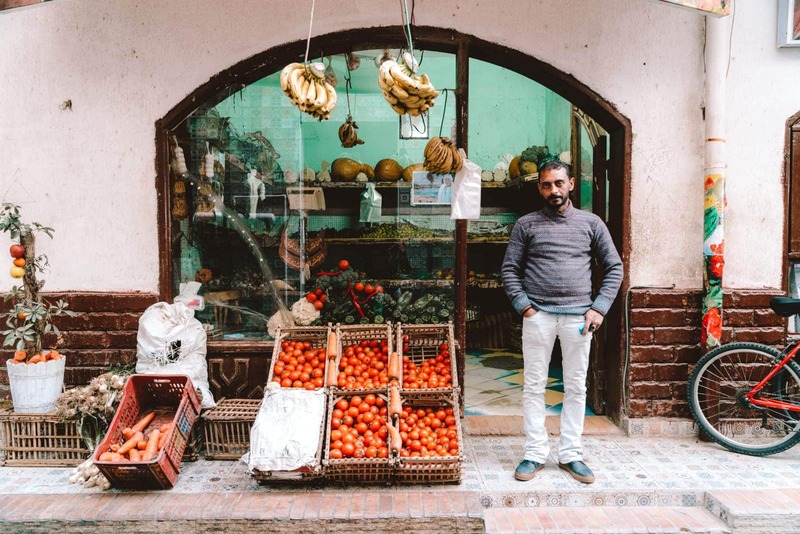 Wander around in the village for 2 hours, have lunch at Kato Dool restaurant and jump back on the boat the Aswan. 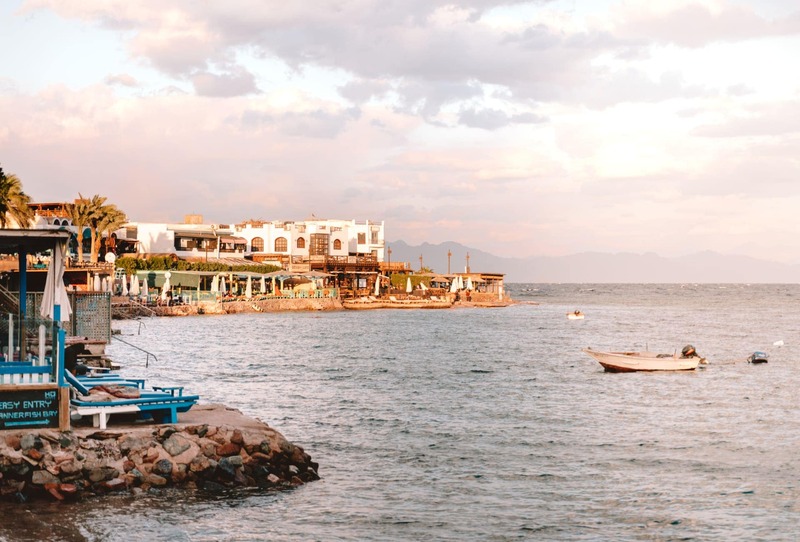 Dahab is a chilled backpackers town on the Red Sea. 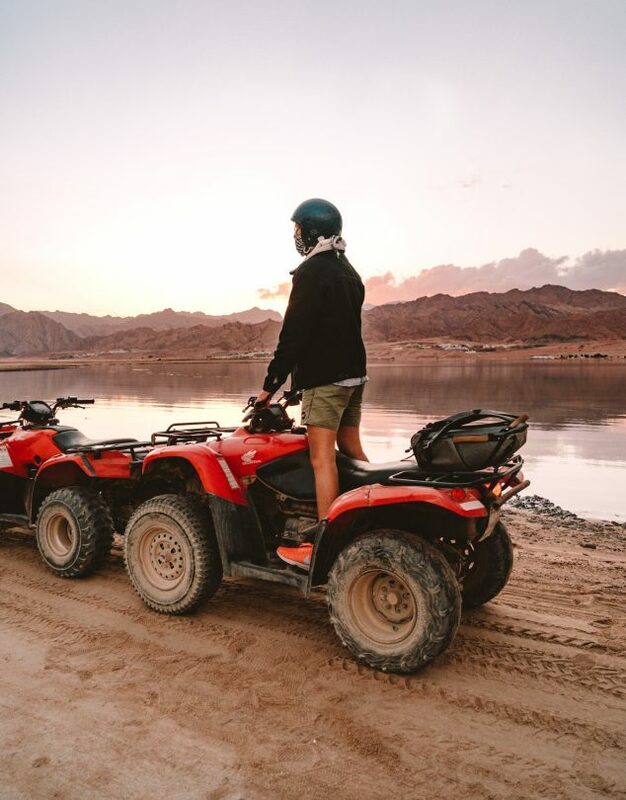 Most travelers visit Dahab for its incredible snorkeling and diving into the Blue Hole. 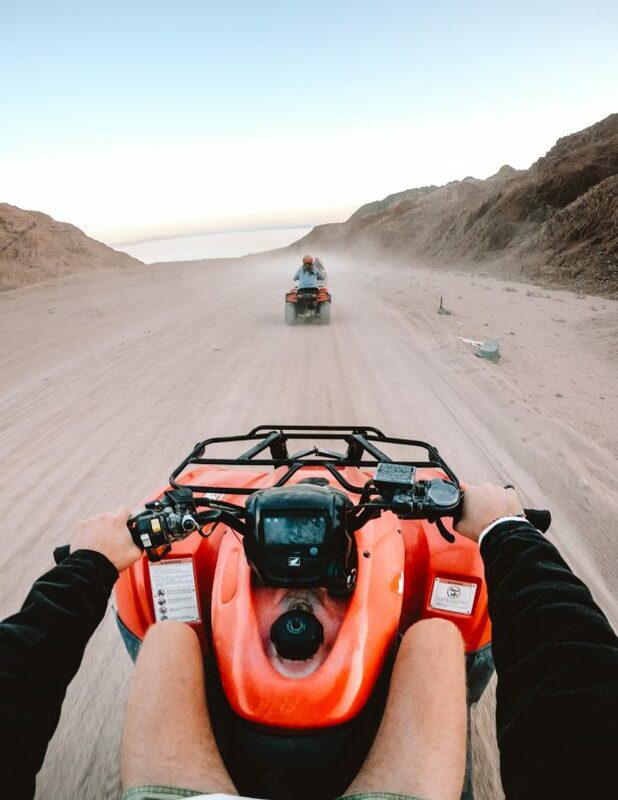 Rent an ATV and go on a desert safari and eat at some delicious restaurants located on the boulevard. 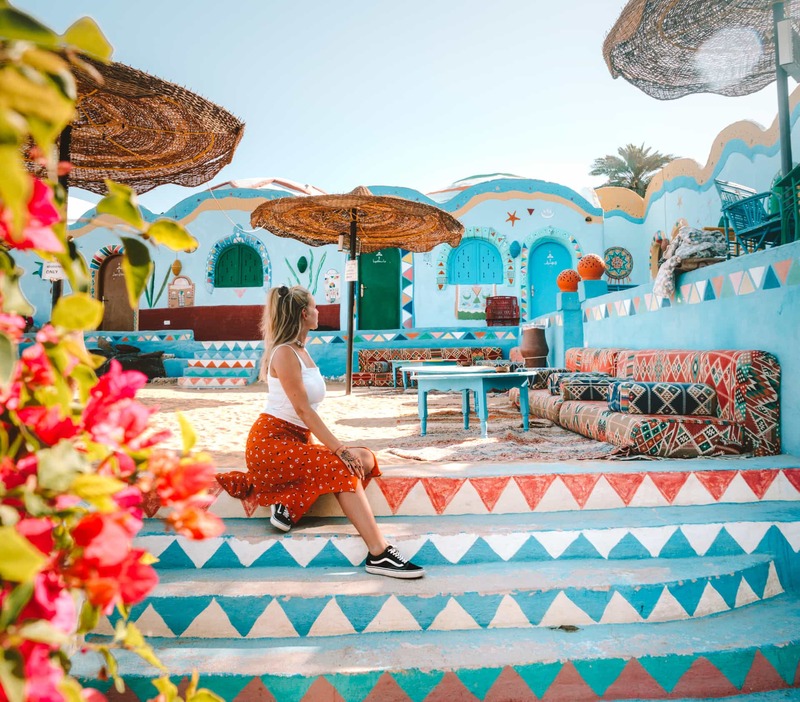 After traveling in Egypt, Dahab will be one of your top stays so make sure to spend enough time here. You can either fly from Aswan into Sharm El-Sheikh via Cairo. This is only 20 minutes away from Dahab. 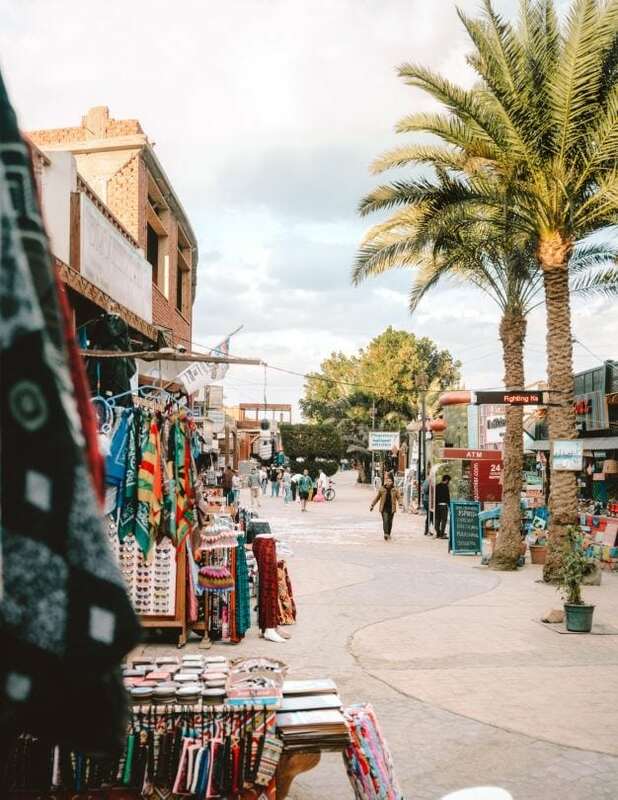 Another option is a 12-hour drive where you catch a ferry at Hurghada to Sharm El-Sheikh. 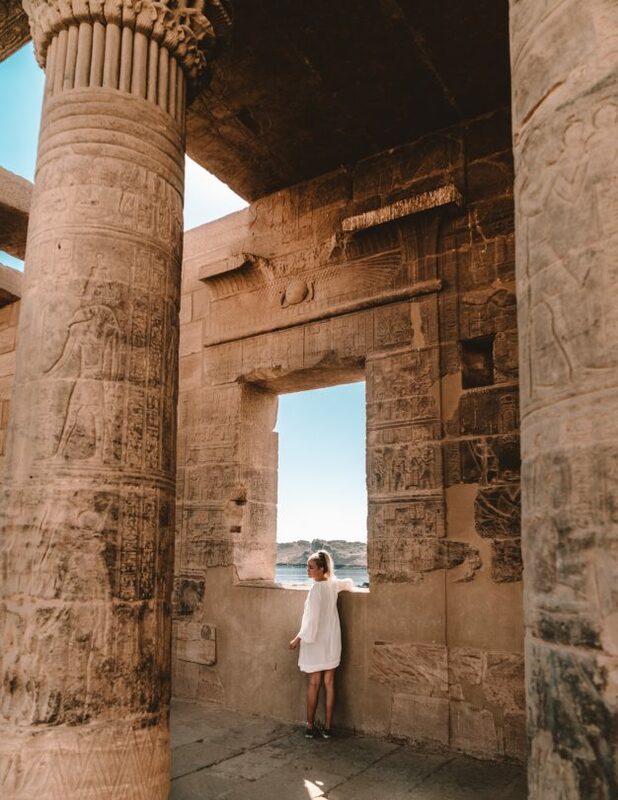 Your incredible Egypt travels has come to an end. Depending on where you need to fly you should take an international flight from Cairo or Sharm El-Sheikh. Egypt by tour or not? 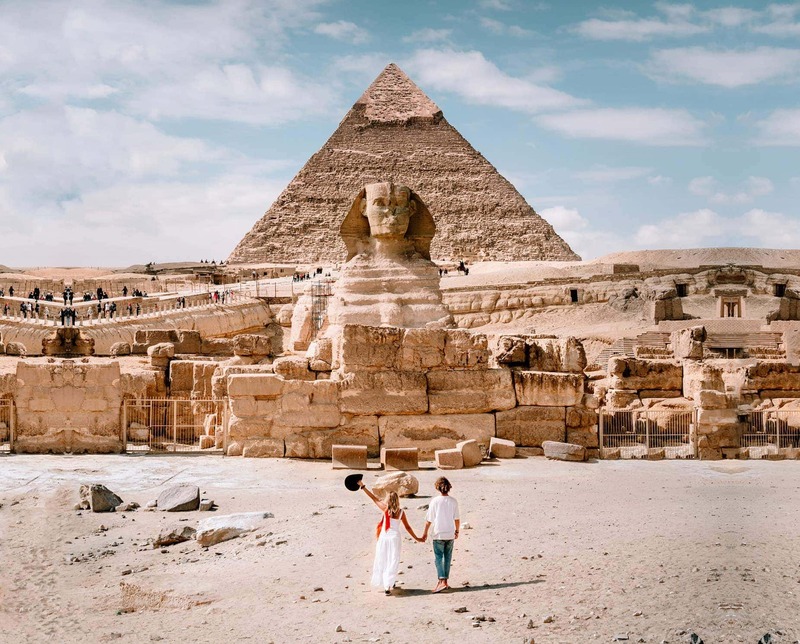 Traveling Egypt with a tour company is a great decision. Why? 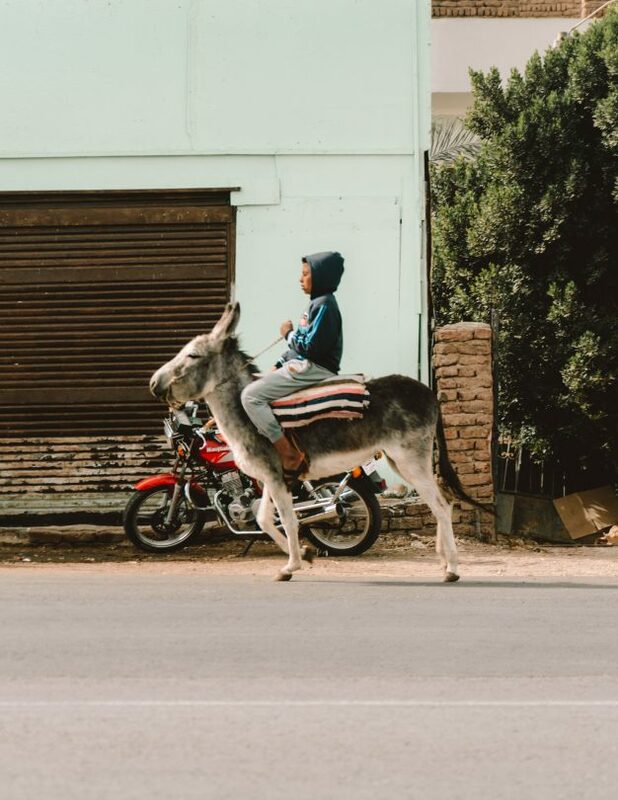 Getting from A to B isn’t that easy and in Egypt, every little thing comes with a hassle. 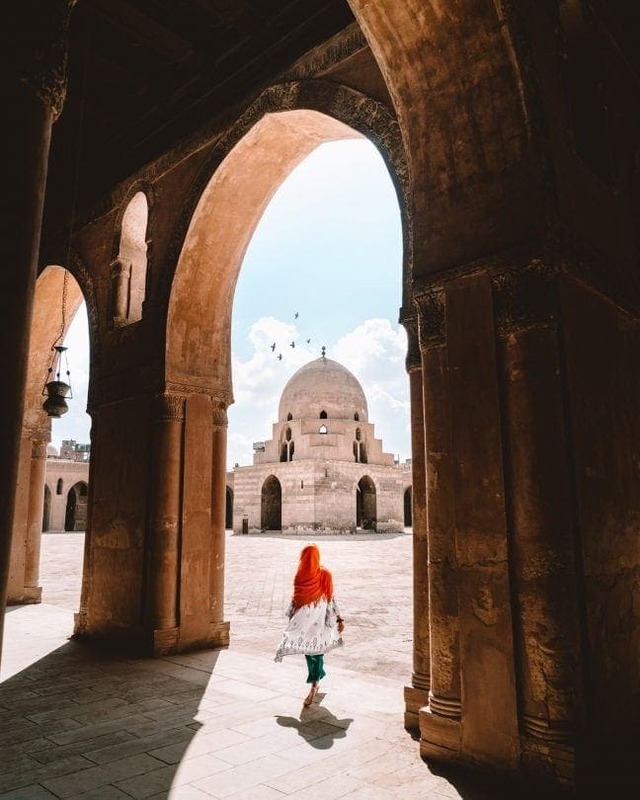 By joining a tour, you learn a lot about Egypt’s history, it makes traveling easier, safer, and you will meet a lot of like-minded people. 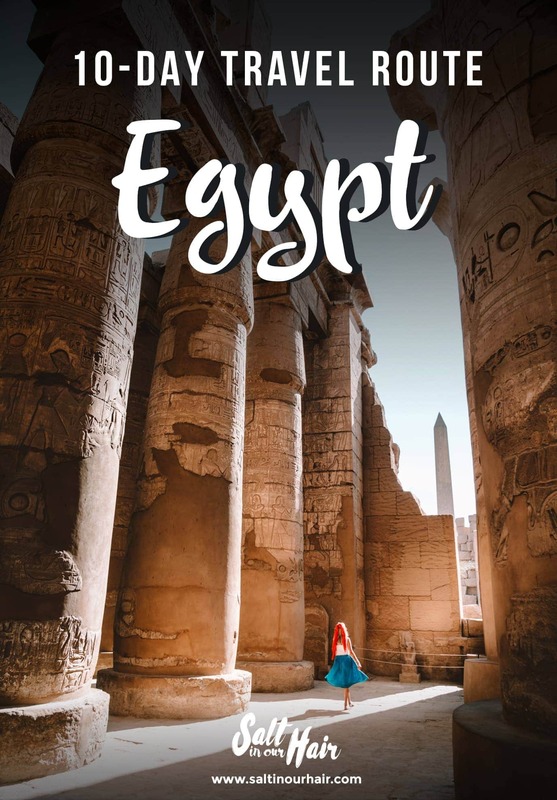 Travel to Egypt in their winter which runs from October until April. Temperatures will be much more comfortable but the attractions will be busier. Try to avoid December and January as these are known as the peak months. Egypt can be traveled on any kind of budget. Go on a low-budget by staying in hostels and travel by train and local buses. 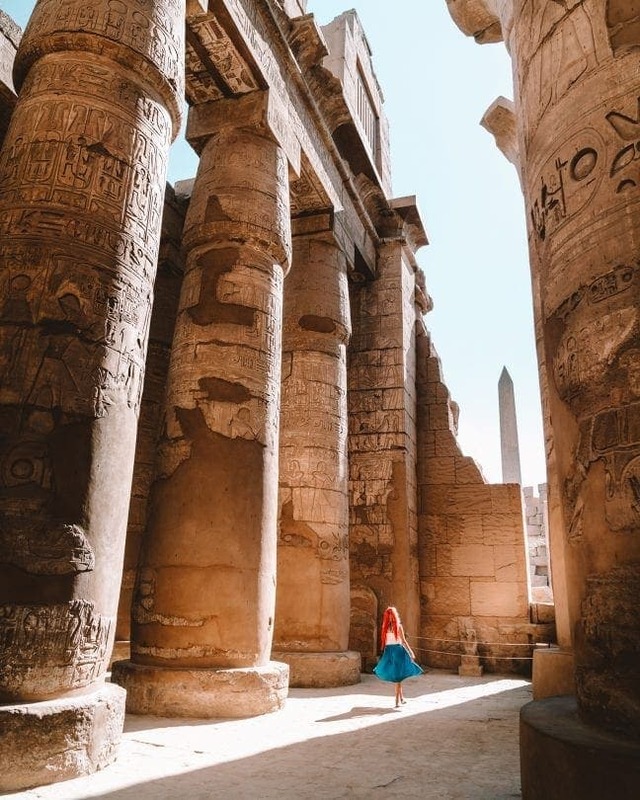 Or choose for a little more comfort by joining a tour in Egypt. 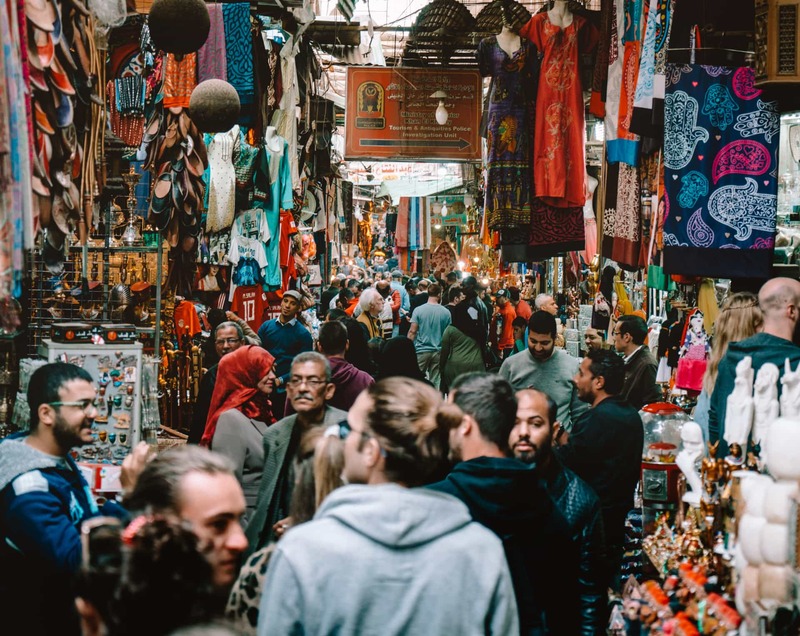 What to wear while traveling in Egypt? Egypt is a modern country where they wear modern clothes. As a woman, you don’t need need to cover your hair or ankles outside the religious sites. It’s best to wear breathable fabrics such as cotton, linen, and silk. During the winter time, take a sweater and long jeans as the temperatures in the evening will drop. Entering Egypt requires a visa. A Visa on Arrival can be purchased for 25 USD at the airport in Cairo. Make sure to have the exact amount with you in US dollars.